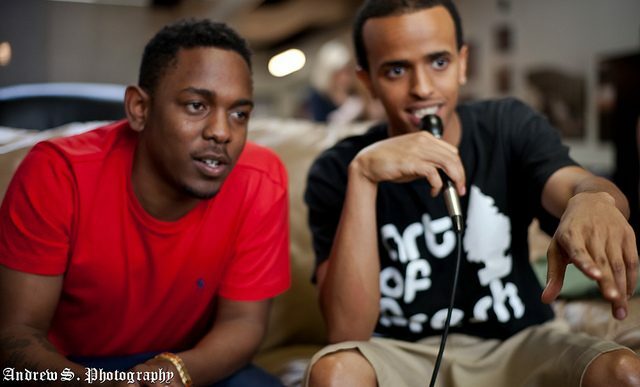 Host: Adulis “Chedo” Mokanan interviewing Kendrick Lamar. The Come Up Show Podcast catches up with some of the biggest names in hip-hop, as well as the most promising up-and-comers, for in-depth interviews. It’s real. It’s unscripted. Hear artists like you’ve never heard them before. Get Inspired and subscribe below! Make sure to give us a 5 Star Rating and Review on Apple Podcasts! Subscribe to The Come Up Show Email Newsletter. Each and Every Thursday we’ll keep you updated with everything about The Come Up Show. New Episodes, Concert Listings, Contests, Music and much more. Apple Podcasts app: All iOS devices contain the Apple Podcasts app. Once you open it, press the search button, which looks like a magnifying glass, on the bottom right of the screen. When the search window appears, type in “The Come Up Show”. You’ll see our podcast appear under “Podcasts” and press the Subscribe button to the right of the podcast name. Android: A number of apps are available for download to access podcasts, including Google Play and Stitcher. Once the chosen app is on your device, it’s easy to find our podcast. Using the Google Play app, you can tap the Menu button on the top left side and select Podcasts. Press the Search button on the top right and enter “The Come Up Show”. Once our podcast appears on your screen, select Subscribe and Auto-download to receive the latest episodes. In Stitcher, open the app and search for “The Come Up Show”. Select the plus sign, add our podcast to your Favorites, and new episodes will download to your device. These instructions were borrowed from Pew Trusts website. They spelled it out how to do it, thank you guys.